Shinsuke Minegishi was born (1970) and raised in Tokyo, Japan. In 1991, he moved to California, USA, to continue his studies. Two years later he moved to Vancouver, Canada, to complete his undergrad education at Emily Carr University of Art and Design, where he currently works as a studio technician and instructor. 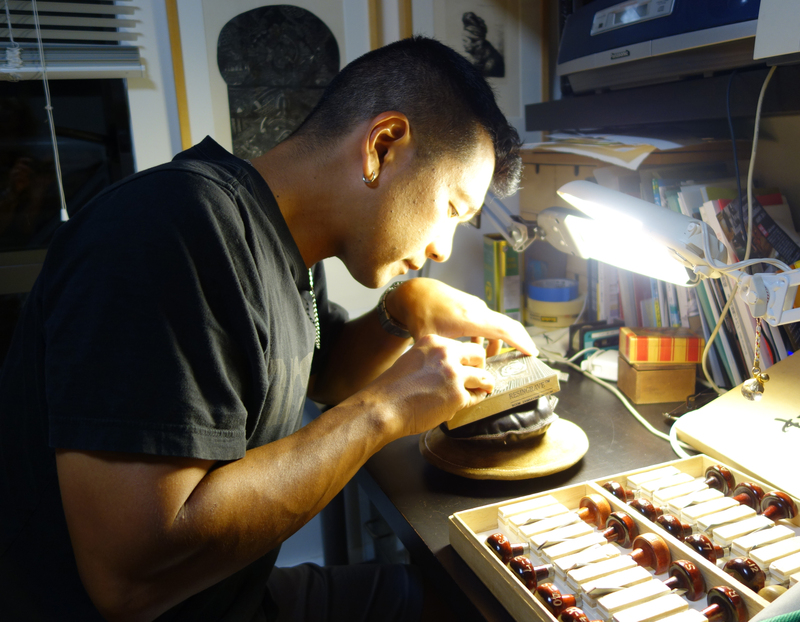 Shinsuke Minegishi is an active multiple award-winning print and book media artist. His work is included in solo, group, and adjudicated exhibitions annually. He has shown at numerous private and public galleries and museums. His prints and books can be found in numerous public collections throughout the world, from Europe to Asia and American continents.